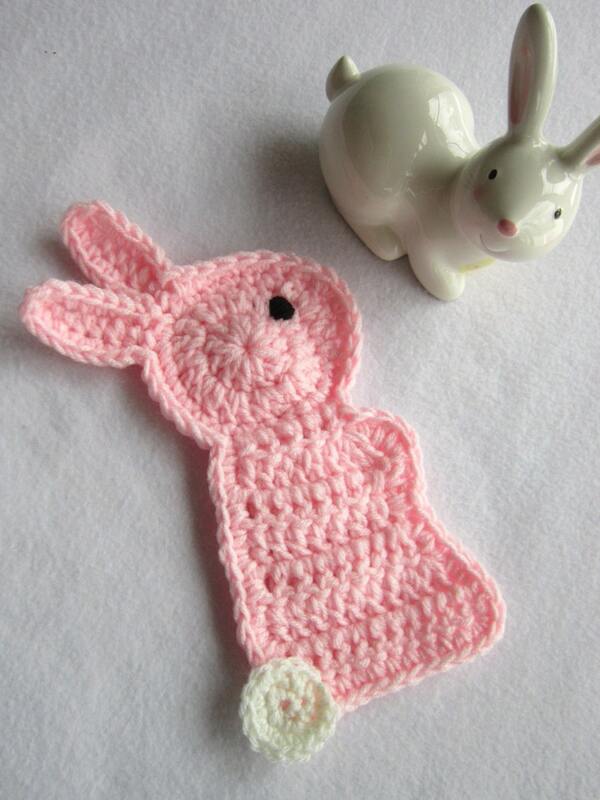 This crochet pink bunny rabbit pot holder is ready to come to your house and be cute! I've crocheted this bunny rabbit from two strands of pink yarn and added an eye and a cute little tail. She has been made really for more of a decoration than a pot holder. Please use caution if using with hot temperatures. She is made from acrylic yarn. She can sit on your table as a trivet or just a decoration. She can also be hung on the wall. She can be made in any color, even brown if you prefer a chocolate bunny. She would make a great hostess gift on Easter or a darling gift for a teacher. She promises to be very quiet and not disturb your Easter dinner. She measures about 11 1/2 inches long. She can be put in the washer on gentle cycle and laid flat to dry. Take a look at the last picture for bunnies in other colors. If I don't have a color you would like, please let me know what color you would like your bunny in a note the seller at purchase. Your bunny will be made in approximately 2 to 3 days after purchase. And take a peek in my shop. You never know what you'll find there.